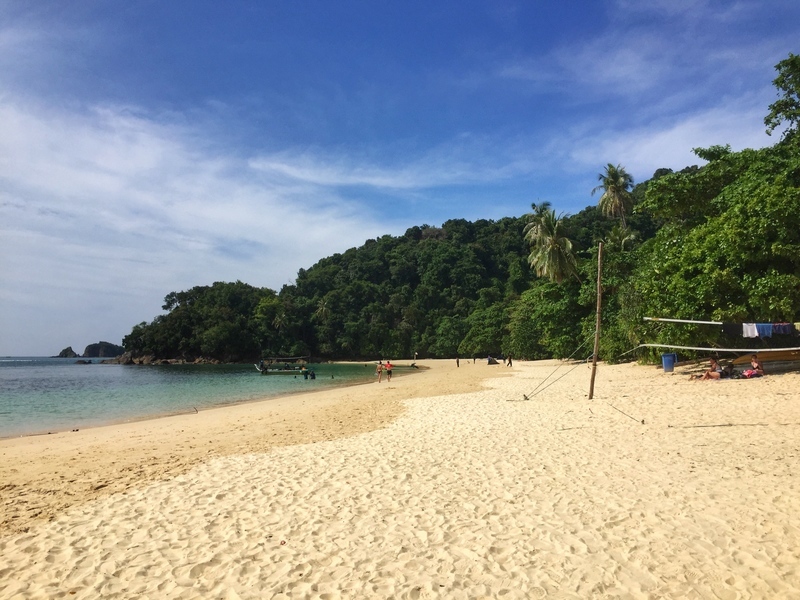 If you asked most people to play word association with Malaysia, best beaches would not be what comes to mind for most people. Considering Malaysia is surrounded by Thailand, Indonesia, the Philippines, there is some heavy beach competition. Even Singapore has some incredible beaches. With all that said, the best beaches in Malaysia are often forgotten. This is good though as it means there’s more room at the beach for you. And there are lots of good beaches in Malaysia. The beaches you see here are all over Malaysia (map is at the bottom of the post). 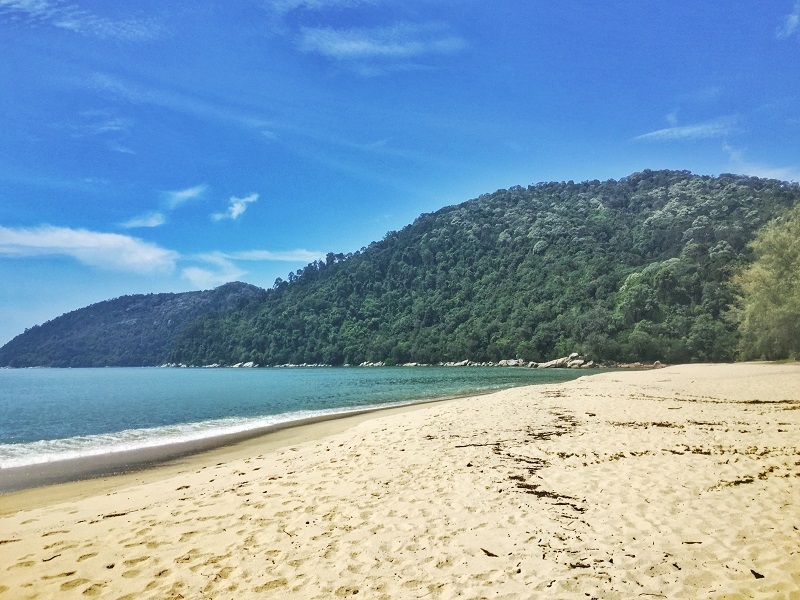 I couldn’t help but include the Perhentian beaches in this unusual two week Malaysian itinerary. But, you won’t regret your visit to any of them. I’ve explored most of the beaches in Langkawi and was the sunset at Tanjung Rhu Public Beach made me so happy. Never have I ever seen so much pink/purple in the sky. It was so memorable and I’d love to stay at one of the hotels along the beach next time (backpacker problems). The fact they’ve kept this a public beach is awesome. There are also tours you can book that’ll take you to less visited parts of the beach during sunset. There are also water activities based here such as sea kayaking and jet skiing to make the most of your Malaysia beach holiday. Of course, we can’t just think about the beaches of Peninsular Malaysia, there’s Borneo too. If you aren’t driving to this beach, the trip here takes some time using public transport from Kota Kinabalu. You take the bus north as far as you can from Kota Kinabalu, before getting a taxi for the last stretch. The Tip of Borneo beach is remote, with a handful of guesthouses and restaurants along the stretch of sand extending to the rocks that are the northern tip of the beach. There are a few waves for surfers, but this is a spot where you want to chill out big time. The other highlight is the milky way, there is still some light pollution around but with Kota Kinabalu so far away it’s minimal. Great name for a beach right? The Perhentian Islands are becoming more and more popular. With some luck, you might find yourself alone when arriving at Adam & Eve Beach, unlike Long Beach. You can take the jungle trail to get there which takes about an hour from Long Beach where most people stay, otherwise, you’ll need to get a boat to drop you off. Make sure to agree about a pickup time before the boat leaves if you aren’t going to walk back. The trees along the beach are handy in that you’ll always have access to shade or you’ve got a long stretch of white sand to lounge around on in between snorkeling missions. 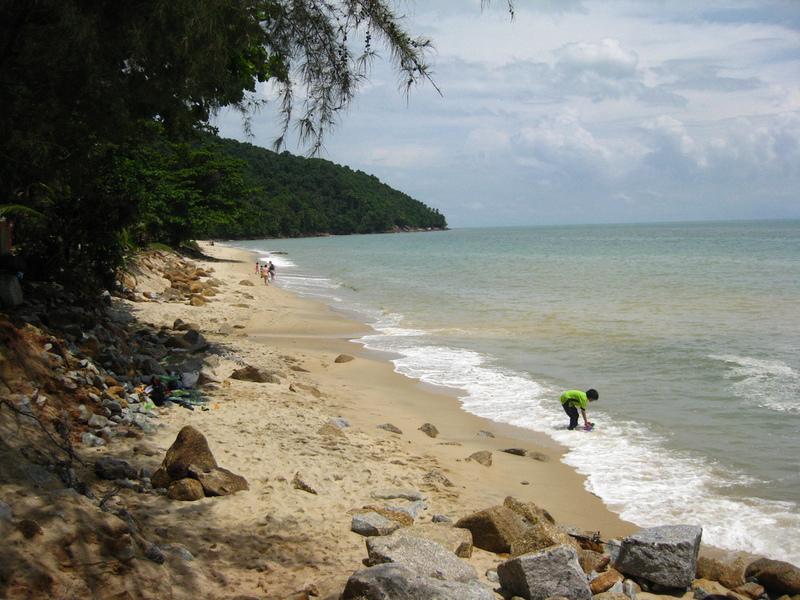 Unfortunately many of the Redang beaches are privately owned. Pasir Panjang offers something for everyone thanks to the nickname, ‘Long Beach’ (so original…). The island’s longest beach has distinct white sand and given there is no coral reef, you’ll find people playing volleyball when they’re not basking in the sun. If you head to the end of the beach, you’ll find the famous Redang snorkeling with a few companies offering various adventures. Bonus points: The sun sets over the ocean horizon here, letting you enjoy the beach until the end has really finished. 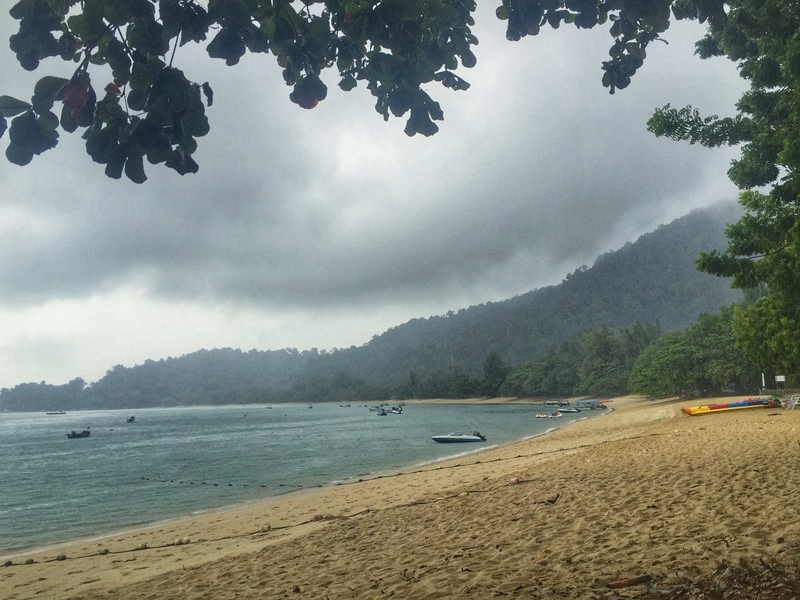 Tioman island has lots of awesome beaches, but if you have to choose one, let’s go with Juara Beach. Rather than white sand you see in most places in Malaysia, you get golden sand here where you can work on your tan. There’s plenty to do nearby for those who get itchy feet. A small hill can be walked nearby, swim in the lagoon at the south end of the beach, restaurants galore and that’s without mentioning the snorkeling. There’s also a turtle sanctuary nearby! When the season is right, you can see them just as they’re born! Incredible. Rawa Island is a small island one hour away from the mainland by ferry. 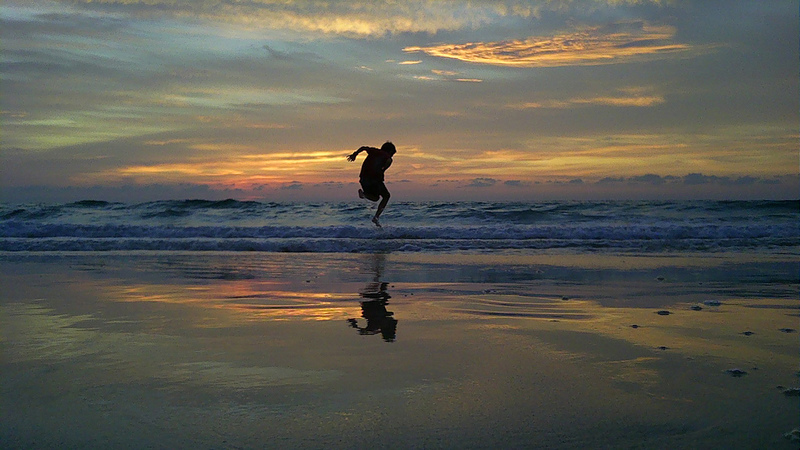 Rawa island can be completed in a day trip, but the sunset is breathtaking. Do note, the island resort is top dollar so if you love sunsets, make sure you can afford the place first. For the day trippers, the beach is pristine with the relative lack of consumerism on the island highlight by the bright blue waters. You’ll be feeling royal on this beach. Malaysia isn’t a popular surfing destination but you’ll find plenty of people partaking in the break during the monsoon season of November and December. The coastline is filled with great surf beaches, some even holding international competitions attracting surfers for both the decent shore-break and beach-break. 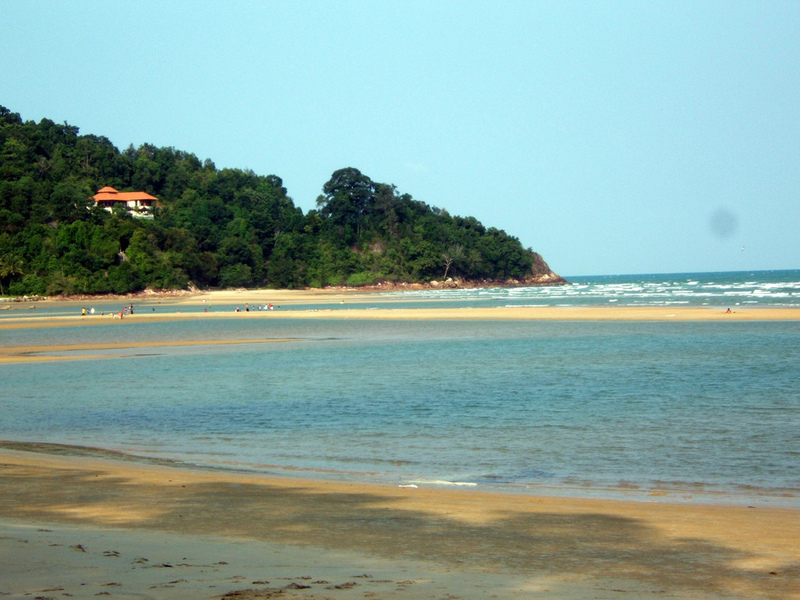 Cherating is the most well developed of these beaches which won’t suit everyone, but there’s a reason it’s popular. There’s a variety of accommodation options including airbnb, with a bungalow on the beach always hard to ignore. The Tip of Borneo beach may have been remote, but this beach will allow you to get a real dose of the locals enjoying their day. Despite being only 6km from Kota Kinabalu, there are few tourists who come out to this beach. While there, you’ll be able to sample the freshest of seafood and sample the rest of the local cuisine from the food stalls. You can book a night tour from Kota Kinbalu that includes watching the sunset at Tanjung Aru Beach here. Pangkor Island is a hidden gem not too far from Kuala Lumpur. The island is small, easily navigated by bike in a day but there are a few beaches worth visiting. The most popular beach, Pasir Bogak is worth hanging out at in the afternoon. These three ingredients are the perfect way to finish the day of exploring Pangkor. I had to update this post with a new favourite group of beaches. I spent six days camping on Kapas Island and the beaches here are amazing. There’s a handful of beaches separated by nice walkways and what makes it awesome is the lack of rubbish! Maybe I got lucky, but all tourists, local and foreign respect the beach and with the lack of water activities in and around the beaches. The sand is beautifully white and soft with the ability to walk straight into the water and start snorkeling your heart out. This as a beach I recently visited on a trip back to Penang. If you’re planning to visit the National Park, make sure you take the trail to Kerachut Beach (most people go to Monkey Beach). This beach is also known as Turtle Beach as there’s a conservation center on the beach, but just look at that photo. There’s noone on the beach in the middle of the day, win. The biggest down side is it’s considered dangerous to swim here, but that’s okay, you can play all along the beach. There’s a campsite 300 metres away too. The walk takes an hour give or take from the park entrance, but you can also get a boat to take you there. It’s the more expensive, but convenient option. Malaysia doesn’t get the glory of bordering Thailand but I’m sure you’re now convinced the Malaysia beaches can be as awesome. The theory is, you won’t see so many western tourists making the beaches ‘too touristy’, yet. The best beach in Malaysia in my opinion? Tanjung Rhu! 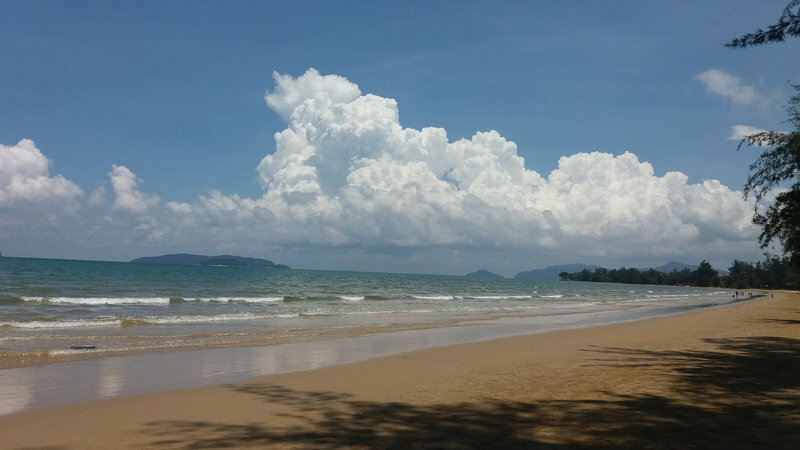 Update: Finally found a nice beach beach in Malaysia as mentioned above. While I enjoyed spending time in Penang, the Penang beaches weren’t very good in my opinion. There were some nice little ones, but they hardly counted as a beach (speaking of which…what makes a beach, a beach). The most popular beach area is supposed to be Batu Ferringhi, and while the sunset was quite alright the amount of rubbish along the coastline was very offputting. Maybe I came on the wrong day? But that was enough to put me off and not make them a must in Malaysia. Getting around both the Malaysian Peninsular and Malaysia Borneo by car is the best option if you want to get around to all of them in reasonably quick time. Otherwise the bus system will be able to get you everywhere more or less. Ah, except for the likes of the North Tip of Borneo beach which requires a bus then taxi. All of these beaches are great for a vacation with friends and family. I like the Adam and Eve beach a lot. It’s very attractive and quite an environment of that beach is very relaxing. Such a wonderful country. I am planning to visit this place in June 2018. Please suggest me the best time to visit this place with family. Your post will be helpful for me. Thanks for sharing. Love that map feature, I’m always interested where places are on a map! haha. You said you camped on the beach on Kapas Island. Were you able to do that without any problems? Or do you need permission to camp? Would love to know more about your experiences about camping in Malaysia. Thanks! Thanks for your article. I’m looking for this information.Much thanks again. Which information were you looking for specifically? would like to go in mid-april with family, which area is best at that time of year? I’d recommend heading to the east coast. 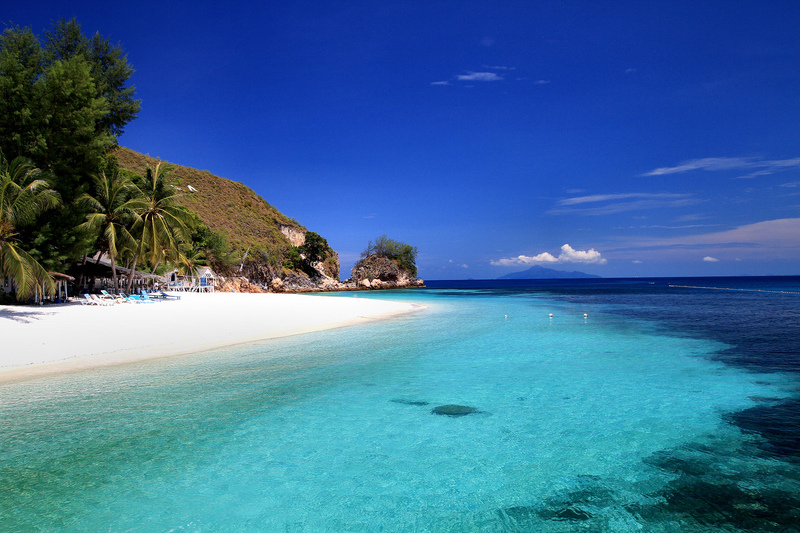 Perhentian Besut or Kapas Island would be great with the family! Great thanx 4 including a map. Great 4 getting brief idea 4 further research, when travel time 2 reach the beach is very limited. No worries, happy beach hunting! I want to travel to Borneo beach, any recommendations for a travel insurance as I am planning to stay there for quite time? I’m not 100% sure of your current situations, but I recently subscribed to Safety Wing and it could be suitable for you. Read the small print though!